[Unboxing] Escaflowne (TV Series & Movie) Ltd Collector’s Edition Blu-ray. Take a look at this AllTheAnime.com Exclusive product that is shipping now!. It might be the year 2019, but we're going back in time to a classic anime for our first unboxing of the year! 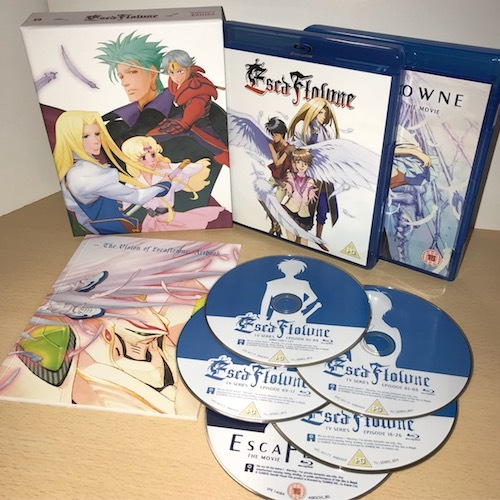 Today we're delighted to bring the first look at our AllTheAnime.com exclusive Ltd Collector's Edition Blu-ray set of Escaflowne! 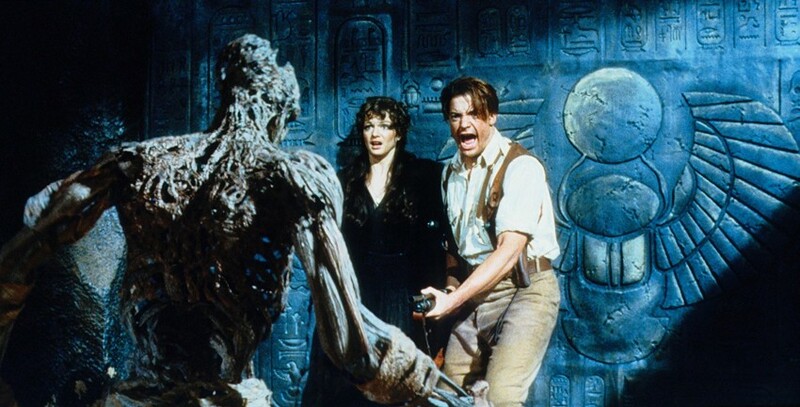 A set that includes both the classic series as well as the film that give the viewer a different take on both the story and the overall appearance of the world. This set was announced and revealed as part of our 12 Days of Christmas sales back in December, and we're happy to confirm that this product is now shipping! With all the orders that were placed since the announcement back in December having shipped and making their way to people now. Below you'll be able to get all the details on what to expect. So sit back, relax, and have a read. 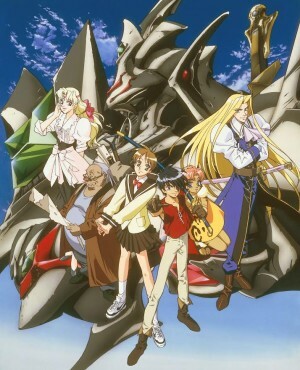 Van must learn to master the suit of armor, Escaflowne, before he and Hitomi are crushed by the ambitions of the Empire of Zaibach. Van and Hitomi will encounter both allies and enemies in an effort to unlock the secrets within Escaflowne, and Hitomi’s heart, stirred by love and adventure, will, at times ache with sorrow. But why was she sent to this world? Find out in a classic tale of fantasy and adventure! Check out the official trailers for both the series and the film below. -- Want to read more about Escaflowne? Have a read of the piece at our blog by Andrew Osmond HERE. 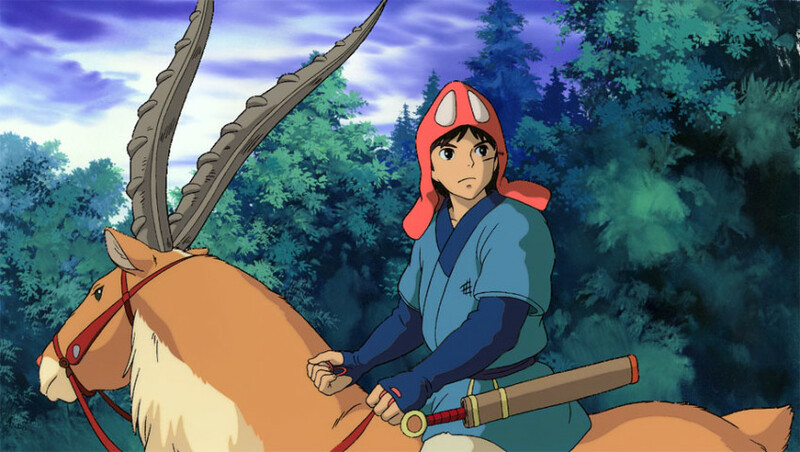 This AllTheAnime.com Exclusive release brings both the classic series and the film into one collection. Presented inside a rigid case, you'll find the series (over four Blu-ray discs) housed inside one amaray case, while the movie is contained on a separate disc and in an amaray case of its own too. In addition to that you'll also find a 32-page booklet containing character art and key visuals. But the TL;DR on this is that either way you get the entire series and the movie! 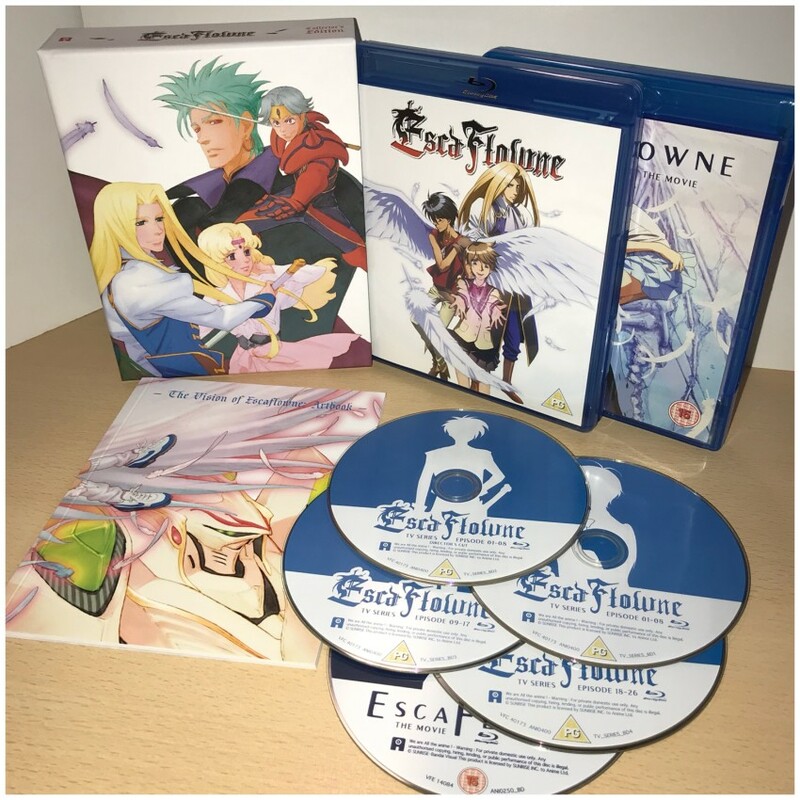 The complete TV series of Escaflowne, Director's Cut* and TV Broadcast versions. *NOTE: Director's Cut versions of episodes of the TV series applies to Episodes 1-7 only. TV Series Disc 1 contains broadcast version of those episodes, while TV Series Disc 2 contains Director's Cut version. All other episodes feature all three language options. Also worth noting that should you attend an event we are exhibiting at in the future, we'll likely have some units available at those too. 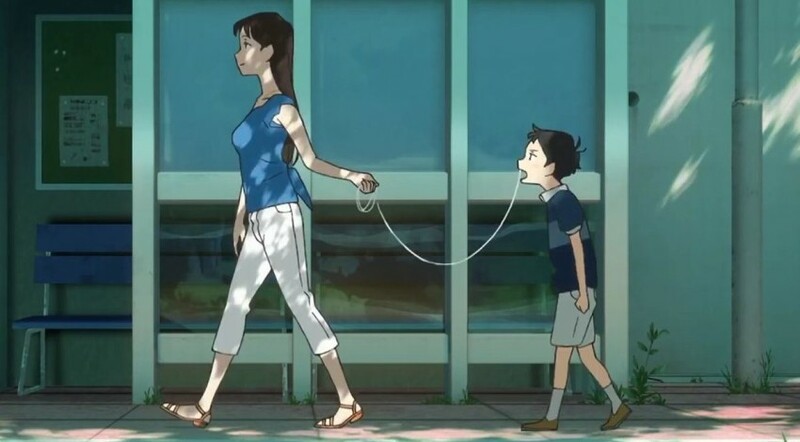 The world of anime streaming doesn’t stand still for long, so it’s quite normal to find much has changed once again since we last published one of our Streaming Guides. But even by these standards, the latter portion of 2018 saw some seismic shifts in the landscape. These are mostly due to the fact the two biggest names in the anime game have become part of much bigger multinational media companies. Funimation has been acquired by Sony and Crunchyroll became part of the giant WarnerMedia group following the merger of Time Warner and AT&T. This has led Sony to pull life support on their (sparsely supported) Animax UK streaming service and – more importantly – for Funimation to pull out of the content-sharing pact that they had with Crunchyroll since 2016. The two companies will begin to compete again for licenses, although much of the effects of this change likely won’t be felt until after the current season. 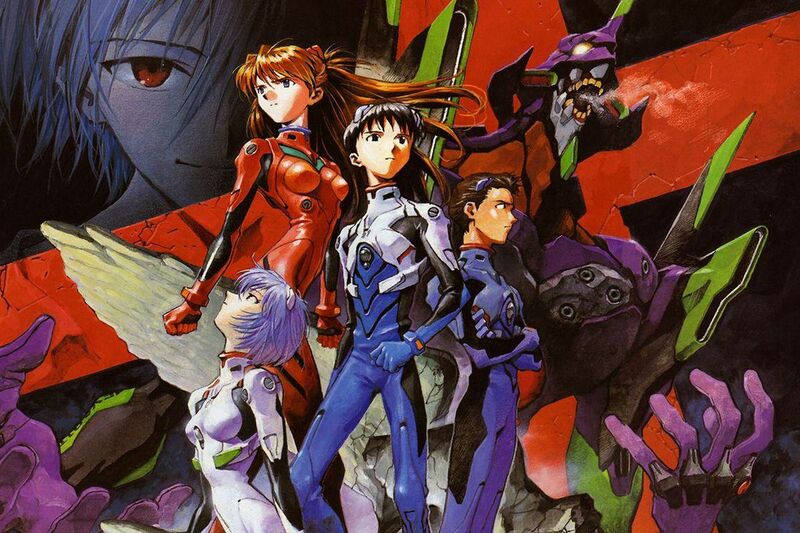 Mainstream streaming services Netflix and Amazon Prime also continue to invest heavily in anime, both through co-production and acquiring rights to existing series and films. So what’s on offer from all the major players in 2019?